The Middle East has a reputation for being the golden ticket in the ESL world. Schools here tend to pay the most, come with nice housing packages, and salaries are tax-free. Not a bad gig, by any means. On the other hand, because these are typically conservative Muslim countries, they are also quite a culture shock for most westerners. In most places, public displays of affection are severely frowned upon, homosexuality is illegal, and dressing “scandalously” could cost you a fine. Of course, the severity and seriousness of these restrictions vary wildly by country. Currently in this region, governments are working hard to gain more power on the world stage and so many are going implementing massive overhauls to their education programs. They’re building world-class vocational schools with state-of-the-art equipment to push their graduating high school seniors into the STEM field and making English a top priority from kindergarten. Kazakhstan is even going so far as to change their national alphabet to assimilate more into the western world. This means that while there’s tons of new job openings, the requirements are typically higher than anywhere else in the world, and most positions are for STEM secondary teachers to teach bi-lingual courses. International Schools are often the best deals because they teach to an English-speaking audience with a western curriculum (usually US, EU, or International Baccalaureate), and have the best funding because their tuitions are so high. and to be a native English speaker. Which Country In The Middle East? Each country definitely has its own “reputation” in the TEFL world, and unless you do a ton of research, you’re not going to know about this until after you get there. Orrrr, you could read down to the bottom and click to download my free fact sheet which will give you an overview of the reputations of the most popular countries. You could also download my free eBook which will give you a breakdown of the most popular teacher-placement programs, recruiters, and job boards for ESL teachers around the world. 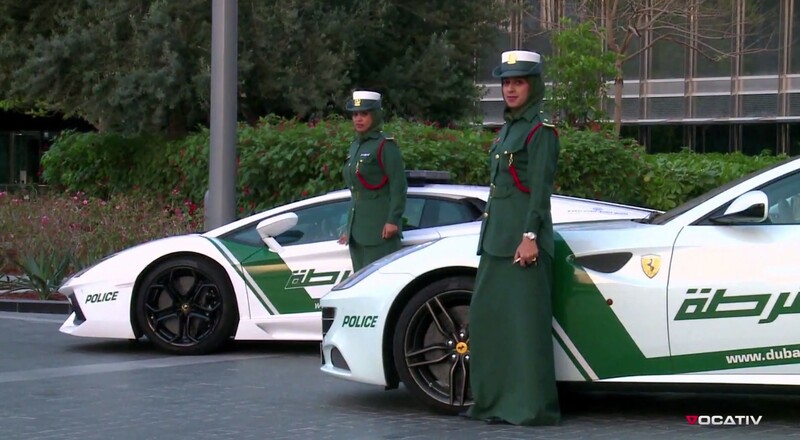 High pay and a tax-free salary: Most of these countries are oil-rich (seriously, Dubai’s entire police force is supplied with Lamborghinis) so there’s no need to charge their citizens taxes! This means that whatever your contract salary says, is exactly what you get. No winter: No need to pack a coat or mittens, no need to shovel, no need to clean the snow off your car… and being surrounded by the Persian Gulf, Ottoman Gulf, Arabian Sea, Gulf or Aden, and the Red Sea means you’re never too far away from a beach! Family-oriented values: Muslim cultures highly value spending time with families (especially for women). If you’re an experienced teacher who is married with children, you can easily find a job that will accommodate this (as opposed to schools in Asia who mostly just hire singles). You can expect to receive family healthcare benefits, larger housing, flight reimbursements for a spouse and up to two dependents, and subsidized school tuition for your children. On the other hand, if you’re living with someone and not married or in a homosexual marriage… forget about it. Conservative culture: Despite the constant, sweltering heat, you’ll need to stay covered up. In Dubai, they are much more lenient on this, but in Saudi Arabia women are hassled for leaving the house without an abaya. In fact, they even have private living compounds specifically for expats which is the only outdoor place where they are allowed to dress how they want. On top of the unspoken (or sometimes spoken) dress codes, public displays of affection such as kissing or holding hands are frowned upon, homosexuality is illegal, and some places have very strict gender-segregation. 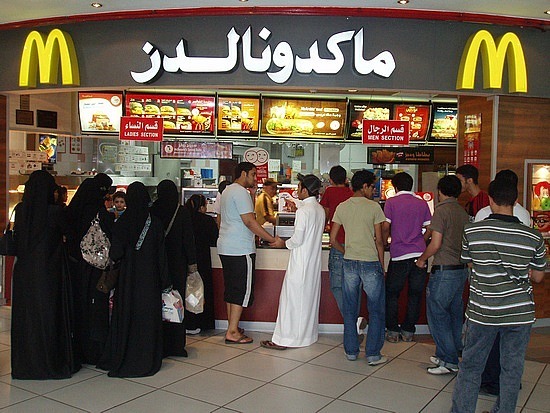 In Saudi Arabia, even the checkout lines are gender-segregated and most restaurants are separated for single men and women or families. It’s literally a desert: Being in the desert, these places get hot! I’m talking up into 120° in August. Match that with a conservative culture that requires covering all appendages and you’ll be dying to just sit inside with the A.C. on all day. Big culture shock: There’s a lot of adjustments that people don’t initially consider when they think of moving to the middle east. Unless you’re already Muslim, you’re not going to know about all the customs and traditions. For example, Muslims pray 5 times per day and need to wash before each prayer (wudu). For teachers from the US where there is an intentional separation between religion and schools, it may be quite surprising to find that you’ll have to plan around multiple prayer times and be expected to participate in making wudu. For some insider details on the day-to-day life of an ESL teacher in the Middle East, check out these quick vlogs from YouTube. Free Middle East Fact Sheet! Click to download the PDF and signup for our weekly informational newsletter.